Whoever wrote the book about contact center software emphasized placing customer needs front and center. Vendors haven’t deviated from the story line even with the addition of the bells and whistles du jour. But Five9 has yelled "plot twist" with the rollout of Freedom, the company's virtual contact center (VCC) product. This time, contact center agents get their due in what Liz Osborn, vice president of product and solution marketing at Five9, calls a huge release. "We're taking a very different tack," Osborn says. "Many of our competitors really focus on the customer experience side of the equation, which of course is very important. But we feel the agent experience and the agent journey are just as important." Five9 commissioned the International Customer Management Institute (ICMI) to study agent job satisfaction and productivity. The report, "Agent Apathy: The Root Cause of Poor Customer Service," found that 85 percent of organizations claimed that agent loyalty was an important priority. But at the same time, 87 percent of contact center leaders admitted that they knew their agents suffered from moderate to high levels of stress. "The reality is that [contact center manager] actions are completely contrary," says Justin Robbins, senior analyst at ICMI. "They know that their agents are stressed out, and the main reason is their tools and technology aren't efficient." Osborn agrees. "It's agent satisfaction that has the biggest impact on the customer experience," she says. "Agents are central to the customer experience." Factoring into agent unhappiness is the upswing in the use of multichannel options—great for customers, but more stressful for agents, if they don't have the supporting technology. ICMI noted that 73 percent of contact center agents said that the complexity of their interactions with customers has increased. Even if organizations don't empathize with their front lines, they do follow the money trail: Contented customers become loyal ones, which leads to evangelizing, especially on social media. "The contact center industry is very conservative, with very complex technology behind the scenes, and it's taken a while to start adapting to the cloud and all-in-one solutions that provide the technology to meet the needs of the customer, all from one desktop," she says. Five9 believes that the Freedom solution will help to alleviate agent pain points with its new modern user interface, dubbed Agent Desktop Plus, which is built on Web-based HTML5 and REST API. In addition, Freedom features new contact center CRM Adapters for Oracle and Salesforce. The solution's Oracle Adapter allows Freedom to plug directly into a telephony-enabled Oracle desktop and provides computer telephony integration (CTI) and Five9 automated call distribution integration with Oracle's Service Cloud (formerly RightNow Cloud Service), its cloud-based contact center relationship management solution. Supported features include unified presence management, ACD routing, and channel prioritization. In addition, the adapter can route Oracle text channels, like chat and email, using Oracle's knowledge-base. And Freedom's Salesforce Adapter lets Freedom connect to the Salesforce desktop, providing embedded integration with the Salesforce Sales Cloud and Service Cloud consoles. The adapter can supply context—letting agents, for example, view issue topics and customer insights such as sentiment analysis. The adapter can also be integrated with Salesforce Knowledge, which helps guide agent decision making. The standard operating procedure of many organizations includes a reluctance to invest in new technology for contact centers, but Osborn believes the status quo can't continue for long. “I see that maybe in five years, things will be changing, as calls start getting more and more complex. 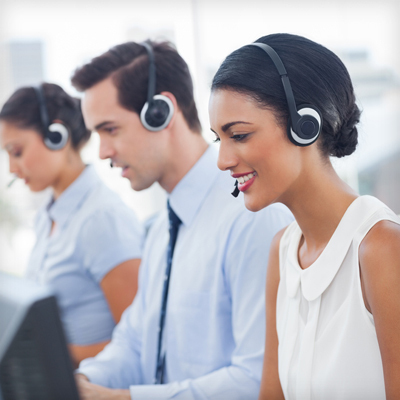 Agent turnover and retention identified as the biggest issue for call centers. Allows businesses to deploy an end-to-end cloud solution for PBX/UC and contact center applications. Agents who have mentally checked out of their jobs means dissatisfying customer experiences. But why are they detached? Hint: Look up the corporate ladder.